Earlier this month, Abbey Road Studios in London held its first hackathon, with 80 participants from startups and universities as well as 30 music-industry experts coming together to experiment with AI, hardware and other technologies. 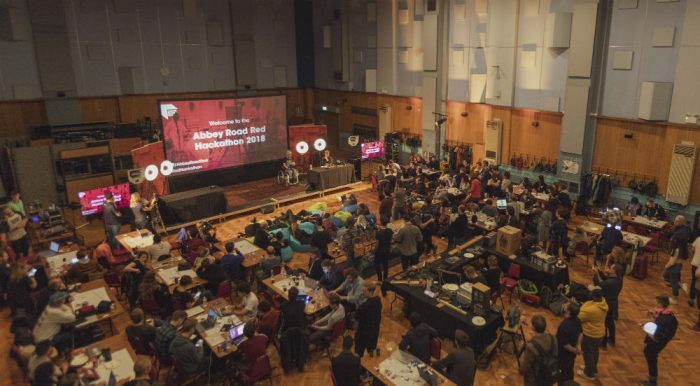 Organised by the Abbey Road Red incubator, the hackathon’s winning ideas included Rapple, an AI rap battler; HRMNI, a collaborative music-making app; a VR/AR synthesizer created by a team called XtraSynth; and a vegetable-based music tool called SoundSoup. 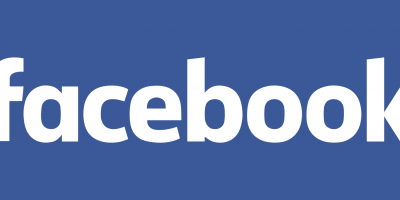 Music Ally talked to Abbey Road’s senior digital manager Dominika Dronska after the event, for her perspective on the hackathon itself, the trends that emerged from what participants created. While a hackathon is a new thing for Abbey Road, the idea of hacking technology for musical purposes is part of the studios’ fabric, right back to the launch of its Record Engineering Development Department (REDD) in 1955. When the Abbey Road Red startup incubator was launched in 2015, the reference in its name was unmistakeable. Since then, the incubator has taken in startups working on technologies around AI (AI Music and Vochlea); vinyl crowdfunding (Qrates) and film-scoring (Scored) among others, with its current cohort taking in immersive projection (BroomX), lyrics innovation (Cotodama); more AI-fuelled creative tools (Humtap) and licensing (Lickd). Dronska explained that the recent hackathon aimed to build on the incubator’s work, but also to forge links between the world of startups, academia and musicians, producers and studio engineers, as well as partners from the tech industry: Microsoft and Miquido. 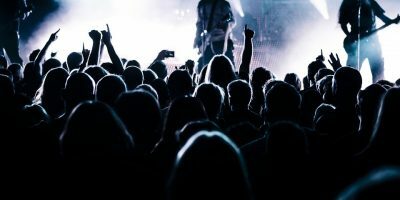 Participants were provided with access to various APIs and SDKs to hack with, from Microsoft’s artificial-intelligence tech to WhoSampled’s database of sampled music. According to Dronska, AI loomed large in many of the hacks that were created. “We are part of this ongoing conversation about what does artificial [intelligence] and automation mean in the creative process? Is it going to replace certain parts, or is it going to be a tool for creative people to use?” she said. Rapple was one of the hits of the day, created by a team of music information retrieval and computer-science PhD students from Telecom ParisTech, INRIA Rennes and Queen Mary University. “You’d be speaking at your laptop, with their algorithm translating what you said to text on the screen, really quickly – almost in real-time. Then it would respond with this synthesised voice rapping back at you with a line that was in tempo, rhyming, and somehow related to the sense of what you’d said,” said Dronska. Collaborative music-making was an important theme at the hackathon, with the HRMNI and SoundSoup demos involving the audience, via their smartphones, to take part. The XtraSynth VR/AR synthesizer, meanwhile, was designed to have several people in a virtual environment kicking and throwing virtual objects to make sounds. “It was all about connecting us as humans and creating together. I feel we have an instinctive need to do something like that. 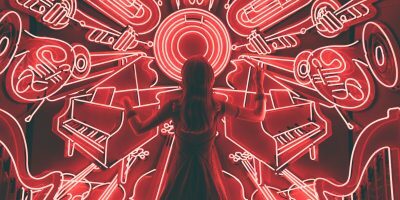 And while our devices can sometimes feel like they come between us, it’s also true that they can act like connectors, including for music-making,” said Dronska. 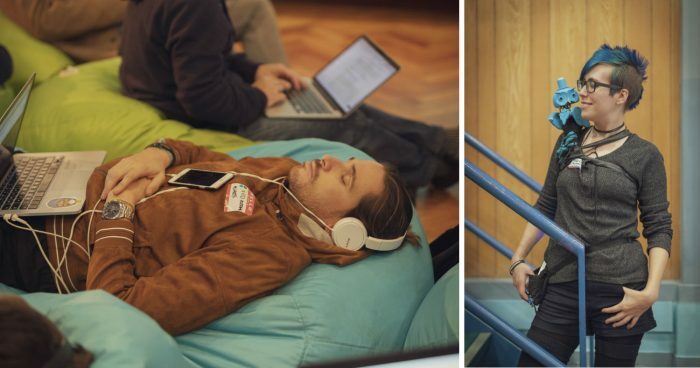 The hackathon may have been tiring – “I slept for about half an hour during the 36 hours of the event, and some people didn’t sleep at all!” – but Abbey Road sees it as a success that will be worth repeating. “It was definitely even better than we expected: not just the quality of the hacks, but the vibe that was created in the room, and the mutual respect,” she said.